New Reproduction Hood Insulation Pad. Fits 1968 Buick LeSabre and Wild Cat. This Hood Insulation Is Die Cut From Factory Specs. 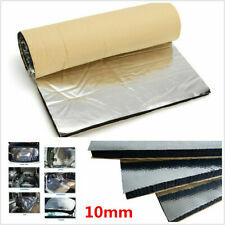 Despite what our competitors say these hood insulation pads are rolled from the manufacture! MTHEPMAT101240BLA001UA MTHEPMAT101440BLA001UA MTHEPMAT101840BLA001UA MTHEPMAT102040BLA002UA MTHEPMAT102440BLA001UA MTHEPMAT102840BLA001UA MTHEPMAT103640BLA001UA MTHEPMAT104840BLA001UA MTHEPMAT106040BLA001UA MTHEPMAT106540BLA001UA MTHEPMAT106640BLA001UA MTHEPMAT103640BLA002UA MTHEPMAT104040BLA002UA MTHEPMAT102240BLA004UA MTHEPMAT101840BLA005UA MTHEPMAT103640BLA003UA MTHEPMAT106040BLA002UA MTHEPMAT106640BLA002UA MTHEPMAT103640BLA004UA MTHEPMAT103840BLA004UA MTHEPMAT104240BLA004UA MTHEPMAT102240BLA008UA MTHEPMAT103640BLA005UA MTHEPMAT103640BLA006UA MTHEPMAT106040BLA004UA MTHEPMAT103640BLA007UA MTHEPMAT103640BLA008UA MTHEPMAT103840BLA008UA MTHEPMAT102840BLA012UA MTHEPMAT103240BLA011UA MTHEPMAT103640BLA010UA Condition NEW Brand Unbrand. 1 Pair L Latch. we can produce around 5500pcs modern paintings per month. A:Now we have 36 professional artists worked in our factory. 3,We are a big wholesaler, can you let us know your production capacity?. Universal 1Pair Car Decorative Air Flow Intake Scoop Turbo Bonnet Vent Cover Hood Fender. 2x Four Colors Car Decorative Intake Scoop Turbo Bonnet Vent Cover Hood Fender. 2 x Vent Cover. -Make your car cool and distinctive.